The team at Home Instead Senior Care in Ruislip and Harrow invited members of the local community to join them on Friday as part of Macmillan’s World’s Biggest Coffee Morning. The Home Instead team also held a cake sale and raffle and with the support of attendees, raised over £120 for Macmillan Cancer Support. 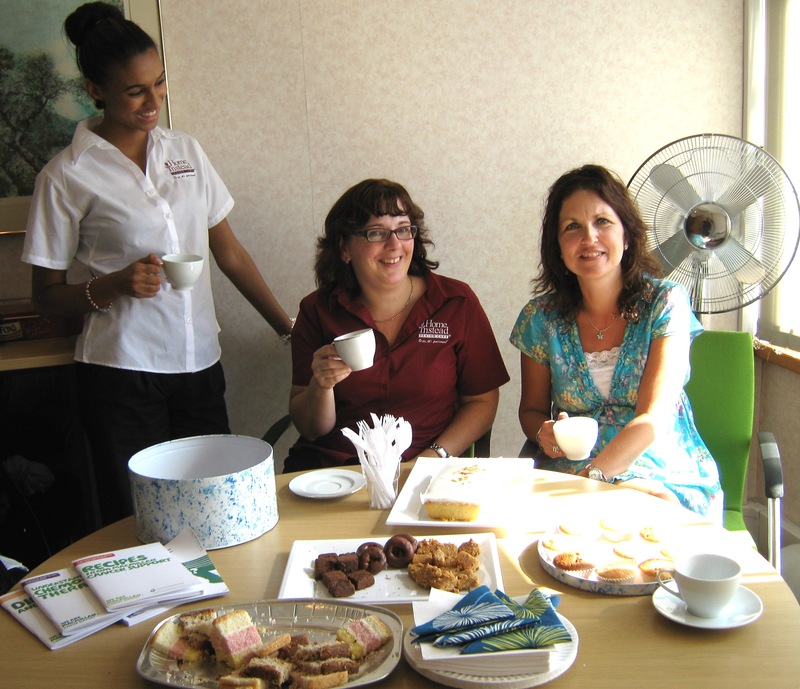 The coffee morning was held at the Basepoint Business Centre in Ruislip and the Home Instead team sold homemade cakes and raffle tickets to raise money for this worthy cause. The business centre supplied refreshments as well as some of the raffle prizes, which included books, chocolates, biscuits and bottles of wine. Home Instead Senior Care provides an at-home care service for its elderly clients including such services as companionship, meal preparation, light housekeeping, post-discharge care, personal care, medication reminders, shopping and errands. The service is available 24 hours a day, seven days a week. If you would like more information on Home Instead in Ruislip and Harrow and the services that it provides, call 0208 582 0250 or visit www.homeinstead.co.uk. Photo caption: (L-R) Home Instead recruitment and retention officer Cherelle Christian joins owner Ginette Meade and attendee Jules Clark for a cup of coffee all in aid of a good cause.